Poh Jay Temple, formerly located at Kampong Bahru, was founded by Ven. Seet Zhuan Jie in 1949. He appointed Ven. Siak Beow Teng as Abbot of the temple in 1960. Ven. Seet Zhuan Jie passed away later that year. Due to government's development in 1984, Poh Jay Temple moved to 66 Telok Kurau Lorong G in 1986. In 1991, Ven. Seek Huat Tat was appointed Principal of the temple to assist Ven. Siak Beow Teng in the propagation of the Dharma. To cater to the growing numbers of Buddhist devotees and to find a more suitable location for religious activities, under the advise of Ven. Siak Beow Teng and leadership of Ven. 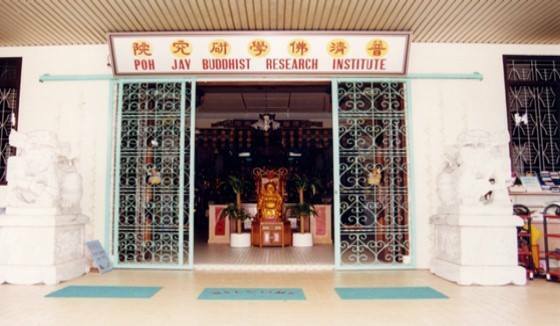 Seek Huat Tat together with several devotees, Pu Ji Si Buddhist Research Centre was established on 23 September 2003 to serve the growing needs of the Buddhist community in Singapore. With the help of triple gem, a piece of land at 39 Lorong 12 Geylang with a land area of 10,000 square feet was found to build the new centre. Today, the new 4-story building with a basement car park, main shrine, memorial hall, library, classrooms, multi-purpose hall, office, and a rooftop garden was completed in October 2006 through fund raising and active donation by devotees and other temples/organizations. Late Venerable Seet Zhuan Jie, the Abbot of China Xue Fong Monastery, came from Chuan Chew City within the main land Fu Jian province of China. He arrived in Singapore in the year 1924. Soon upon his arrival, the Tien Fu Kong Temple's management committee appointed him as the chief monk to help manage the temple. The temple located at Telok Ayer Street belongs to Fu Jian Hui Guan Clan Association. After many years of hard work and saving, Venerable Seet Zhuan Jie managed to save a sum of money to acquire a piece of vacant land at Kampong Bahru in Tanah Merah. His intention of acquiring the land is to build a traditional Chinese Buddhist temple to propagate the Buddha teachings, benefiting the Chinese immigrants from China. 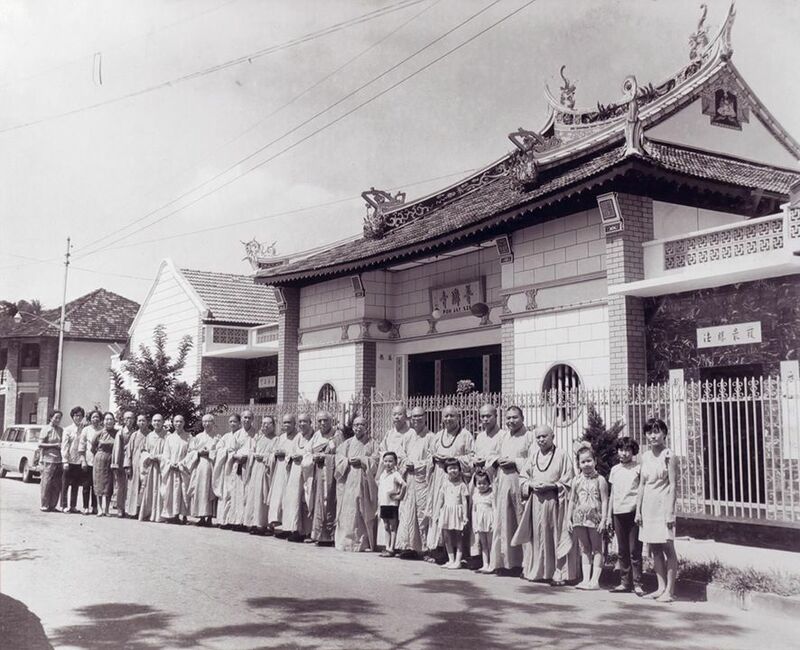 In 1949, through his vision and hard work, Venerable Seet Zhuan Jie successfully built a traditional Chinese Buddhist temple named Poh Jay Temple at the Tanah Merah site. Soon after that Venerable also help to build a Buddhist monastery named Siang Lian Temple, located at Koon Seng Road in Joo Chiat district, for nuns and female devotees. Venerable Seet also challenge himself by involving in the development and construction of Mee Toh School, and later he was nominated by the fourth school's management committee to be elected as a Deputy Chairman of Mee Toh School Management Committee. In addition, Venerable Seet was also elected as the Head of Supervisory Committee of Singapore Buddhist Federation for many years; He was also appointed as a Sangha Advisor for Singapore Buddhist Lodge and Chong Hua Buddhist Society. 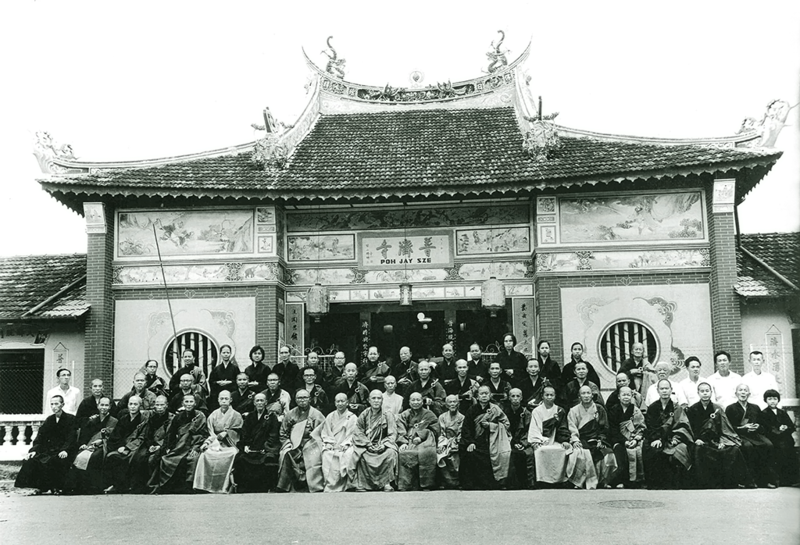 Venerable Seet Zhuan chose Venerable Seet Beow Teng as his successor as Abbot of Poh Jay Temple in the year 1960. After he had completed all his holy missions in Buddhist work, he passed away peacefully in the year 1960. Back then from 1949 to 1984, Poh Jay Temple was located at Kampong Bahru Road with a history of 35 years. In 1984, the land belonged to Poh Jay Temple came under the land acquisition plan to make way for the Port of Singapore Authority's Logistic Distri-Park development project. Poh Jay Temple then began his urgent campaign to search for a new premise to house all Buddhist activities under one roof. In 1985, with the triple-gem's blessing, we are fortunate to take over the former site of the Singapore Bhikkhunis Buddhist Institute at No. 66 Lorong G, Telok Kurau to continue our Buddhist missions. In view of future development and propagating Dharma as a whole, Venerable Seet Beow Teng renamed Poh Jay Temple to Poh Jay Si Buddhist Association.